[Infographic] Linkedin Boasts 3 Million Company Pages~Congrats! Company branding efforts, such as Inside looks and interviews, draw the most engagement. Employment branding and Career Opportunity updates also get the most action. There are 4,000 think tanks on LinkedIn. Over 1,000 pages focus on nanotechnology. Mashable has the most engaged follower community on Linkedin. 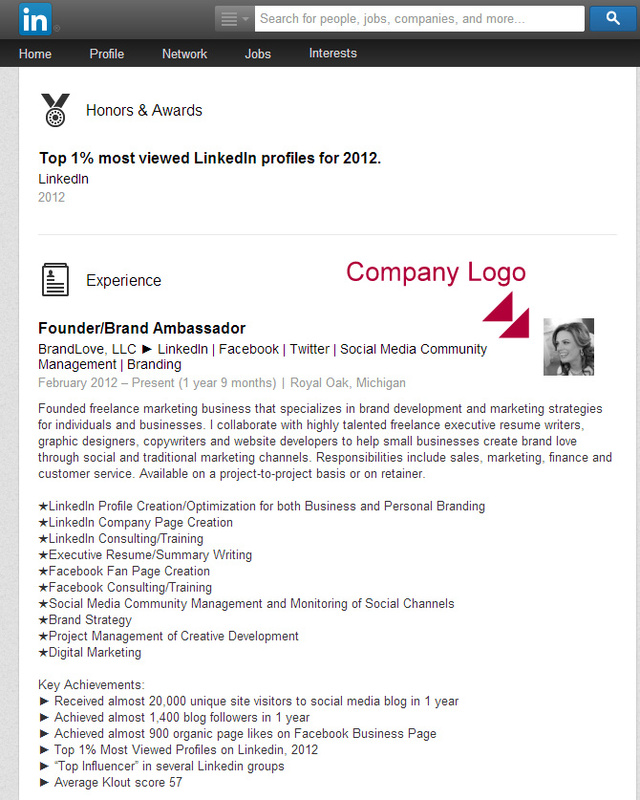 LinkedIn Feature Update: How To ‘Mention’ People and Companies in Your Status Updates! 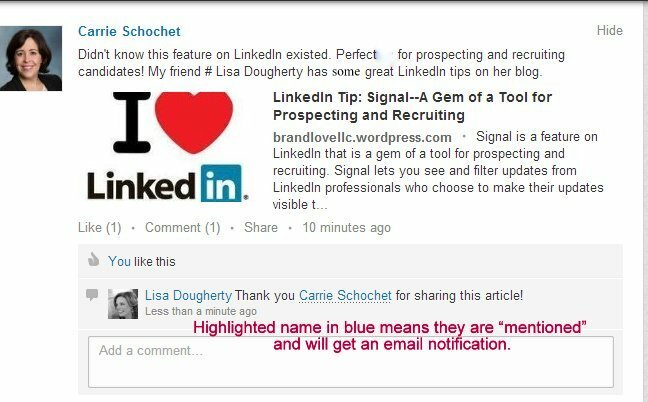 LinkedIn has recently announced in a blog post that they are slowly rolling out a new Mentions feature in an effort to cultivate a more engaging experience. Sound familiar? Of course it does because it is very similar to typing in the @ symbol followed by a name on Facebook and having a drop down of friends to choose from and Twitter’s mention feature by using the @ symbol in a tweet. Using the Mentions feature is a great way to “…start conversations with your network while also enabling you to respond in real-time when someone begins a conversation with you,” according to the LinkedIn blog post. 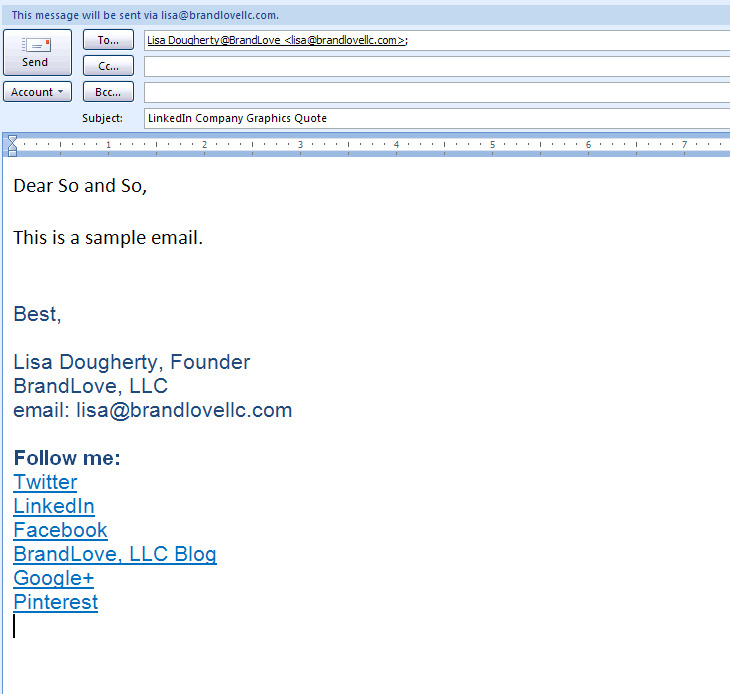 This is also excellent news for sales people and small business owners who utilize LinkedIn for lead generation. Now you can easily start conversations with 1st degree connections by mentioning them instead of just banking on the possibility they’ll see your status update in their sea of network activity. If you find that you aren’t able to successfully mention someone in an update, you may not have the capability just yet. LinkedIn is still rolling out this feature to English-speaking members first and then bringing it to all global members in the future with the promise of integrating mentions into other parts of the site beyond status updates and home page comments. Go to your homepage share box or click comment on someone else’s update. Type “#” and then begin typing a name in the box. You’ll then see a list of potential people or companies you can mention. Click a name you want from the list and continue typing your message. 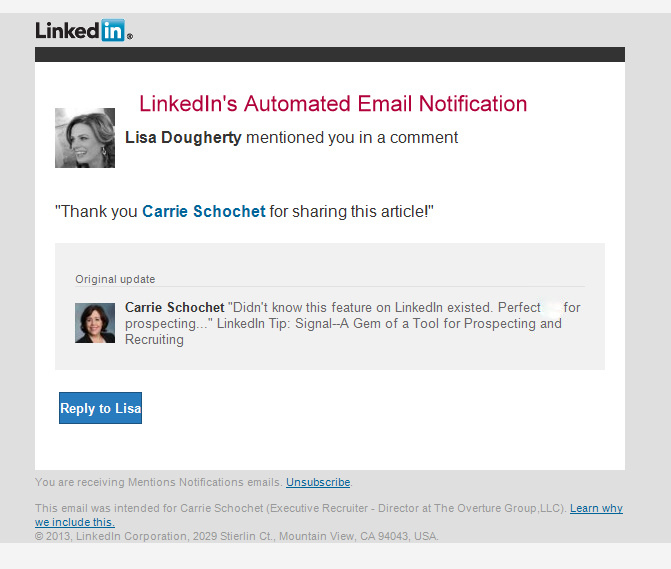 Note: LinkedIn members outside your network can also be mentioned if they’ve commented on the same update. After you select someone from the list and finish your update, that person will receive an email and an update letting him or her know you’ve mentioned them. The name will also be linked to a profile or Company Page from your update. Who sees my update when I mention a connection or company? When creating an update, select the audience from the Share with field under the share box. For example, you can share with your connections, all LinkedIn members, or all LinkedIn members and your Twitter account (if you’ve set one up). Updates containing mentions will be shared just like any other update. The member mentioned will receive a notification on linkedin.com and by email. The update may be shared with the network of the person being mentioned. How Do I Remove A Mention? A mention of your name can be removed by moving your cursor over your name in the update, and then clicking remove. This will remove the link to your profile page and no additional notifications will be received for this update. The person who mentioned you won’t be notified. How Do I Unsubscribe from Emails About Mentions? The settings for this email can be changed from the Settings page. Move your cursor over your name at the top of your homepage and select Settings. 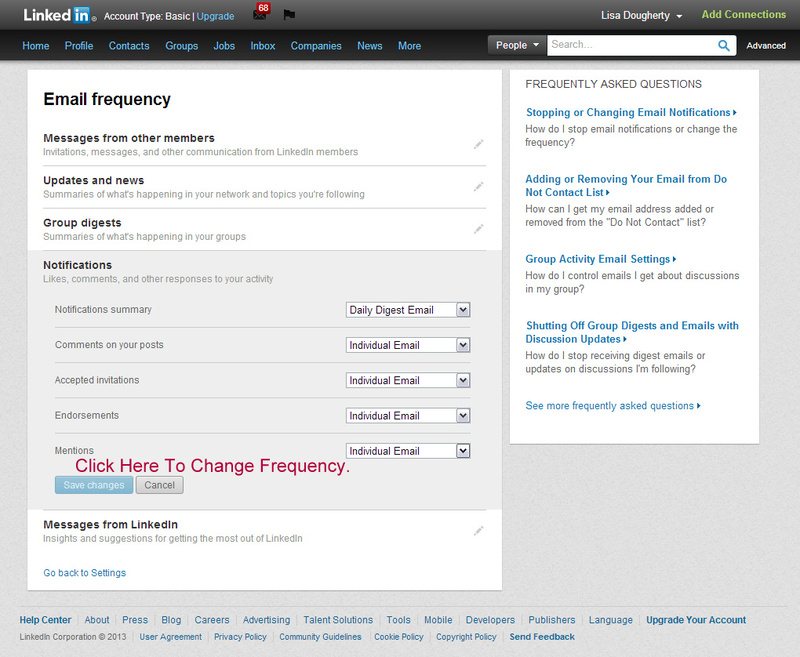 Click the Communications tab in the bottom left and click Set the frequency of emails. Click Notifications and find the Mentions section. Mentions emails can be set to No Emails to turn them off or to Individual Emails to receive notifications each time you’re mentioned. A shout out to Carrie Schochet, Executive Recruiter at the The Overture Group, LLC, for allowing me to use her name and profile as an example for my blog post. Thank you! 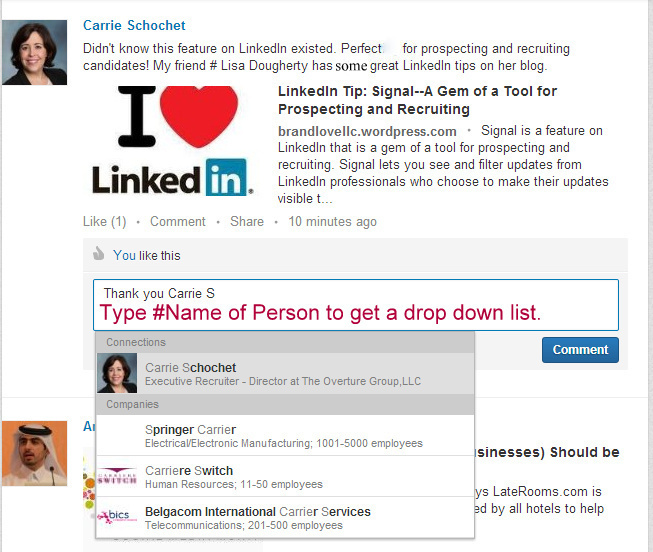 The “How To’ section was completed from information in the LinkedIn Help Center. If you found this article helpful, be sure to follow @BrandLove on Twitter, “Like” BrandLove on Facebook, follow BrandLove on LinkedIn and add BrandLove to your Google+ circles. There are many more tips and tricks on my other social networking sites. Thank you for reading this post and your support is much appreciated! 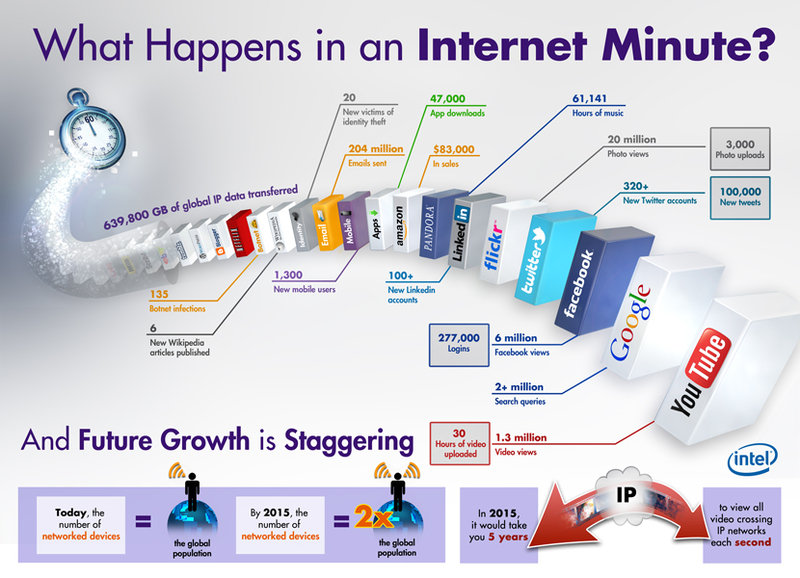 [Infographic] What Happens in an Internet Minute? Additionally, there are 204 million emails sent each minute. Google is recording more than 2 million search queries in 60 seconds. Twitter processes 100,000 new tweets and 320 new Twitter accounts are created. That’s more than five new Twitter users per second. That’s why creating specific lists will help with all the noise in your news feed and you can read the tweets from the people you want. Here’s a previous post to show you how to create a list on Twitter. Sorry, I digress. Other interesting numbers from Intel’s report reveal that 61,141 hours worth of music are listened on Pandora. 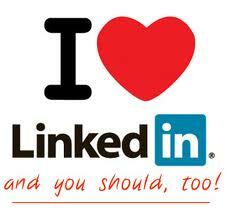 My personal favorite social media site, LinkedIn, which generates 100 new accounts in a minute. Unfortunately with the good, comes the bad. Sadly, it appears that 135 botnet infections occur simultaneously with 20 people becoming identity theft victims. Time to invest in some solid anti-virus software if you haven’t already. Intel expects mobile gadget sales, such as smartphones and tablets, to continue to rise, thus the data transferred in a minute will keep on rising. More than 1,300 new people buy a mobile device each minute, while 47,000 app downloads are being recorded at the same time. Intel says the number of networked devices out there is equal to the world’s population and is expected to double the world’s population by 2015. Crazy. I’m wondering what this means for our future. For more stats, check out all the amazing things that happen in an internet minute in this informative infographic by Intel. If you found this article helpful, be sure to follow BrandLove on Twitter, “Like” BrandLove on Facebook and Follow BrandLove on LinkedIn. There are many more tips and tricks on my other social networking sites. Thank you for reading this post and your support is much appreciated! Are you surprised that 61% of 500 Americans surveyed by Lab42 chose LinkedIn for professional networking over Facebook at 22%? Probably not. What is surprising to me is that 35% of users check-in daily and 42% update their profile regularly. Only 6% check-in less than once a month. It wasn’t that long ago that professional networking meant printing off your resume, attending job fairs and scheduling coffee dates with old co-workers or friends of friends who could help you land your next dream job. This is not the case anymore. As of January 9, LinkedIn boasts over 200 million members with representation in more than 200 countries and territories. 74 million coming from the United States. Wow. 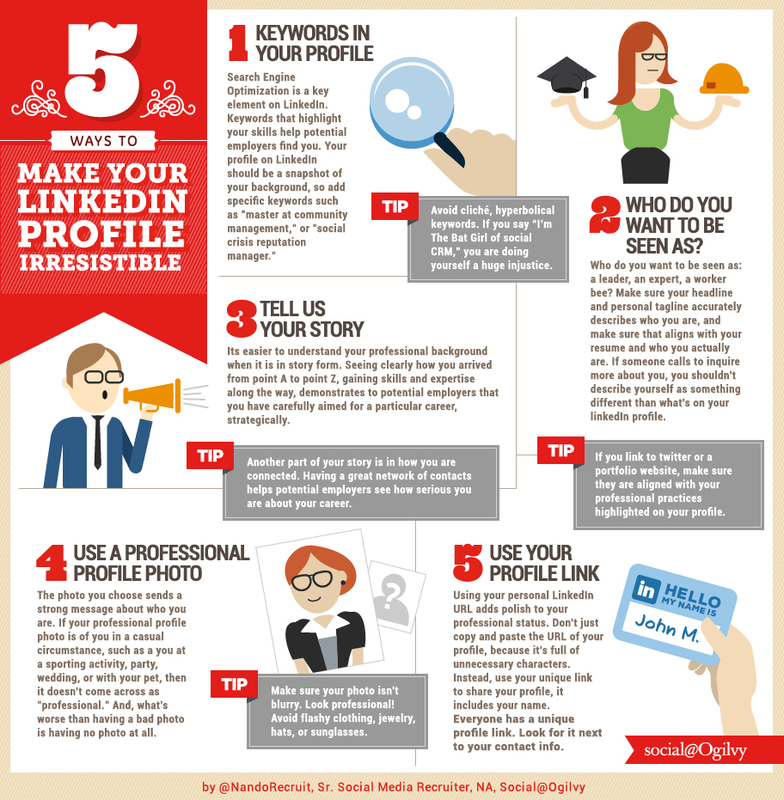 Check out this infographic by Lab42 to see how these 500 Americans surveyed utilized their profile and to see if they valued LinkedIn as a professional networking too. 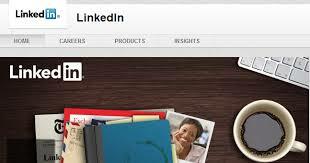 A LinkedIn Company Page allows you to learn more about a company you are interested in. For a business, it’s the opportunity to tell your company’s story, highlight your products and services, share articles, press coverage, career opportunities and drive word of mouth at scale. For millions of professionals, a Company Page is a place to explore companies of interest, get the latest company updates and industry news, research products & services and learn about job opportunities. 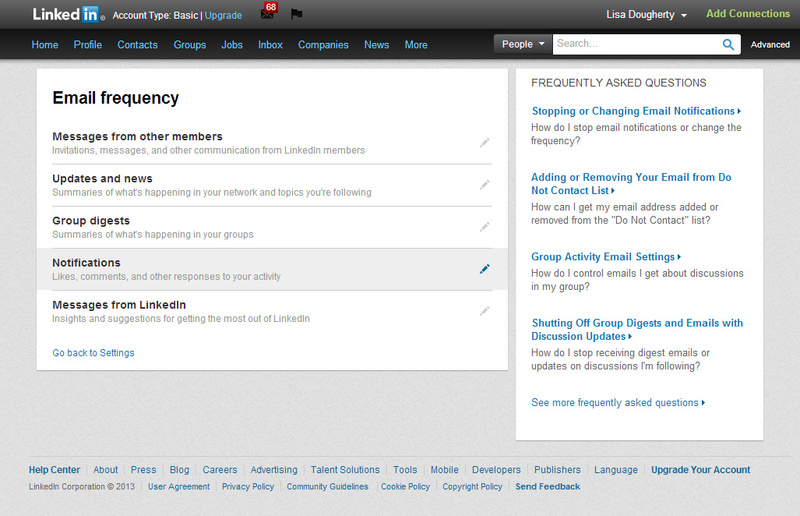 Any LinkedIn member can follow a company that has set up a Company Page to get updates on key developments. If your company doesn’t have a LinkedIn Company Page yet and wants to set up a page, first check out the requirements to add a Company Page and read the basics on how to add a Company Page. (You can also contact me for help!) 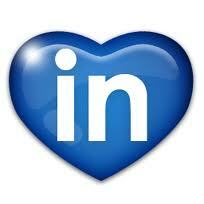 For more detailed information, download LinkedIn’s Guide to your Company Page. Why Add Featured Groups to Your Company’s Page? Gives you the opportunity to showcase staffing organizations or associations’ groups you are a part of or manage. If you are affiliated with a particular organization, it may build credibility if a potential prospect or candidate sees you display it on your page. Highlight a particular specialty your firm has. If you are participating in an industry-specific group (such as Social Media Marketing), it can help draw attention to your expertise in this area. A great way to highlight community ties. If your firm prides itself on its community ties and you participate in a specific group for your community, consider adding it as a Featured Group. First of all, to add a group to your Company Page, you must be both the Company Page administrator and a member of the group you want to add. You can add up to 3 groups per Company Page. 1. Go to your Company Page. 2. Click Edit at the top of the Home tab. 4. Scroll down to the Featured Groups section. 6. Click ‘Publish’ in the top right corner after you add your group (s). Once you have added Featured Groups to your page, it will add the list to your right sidebar in the bottom for visitors to see.